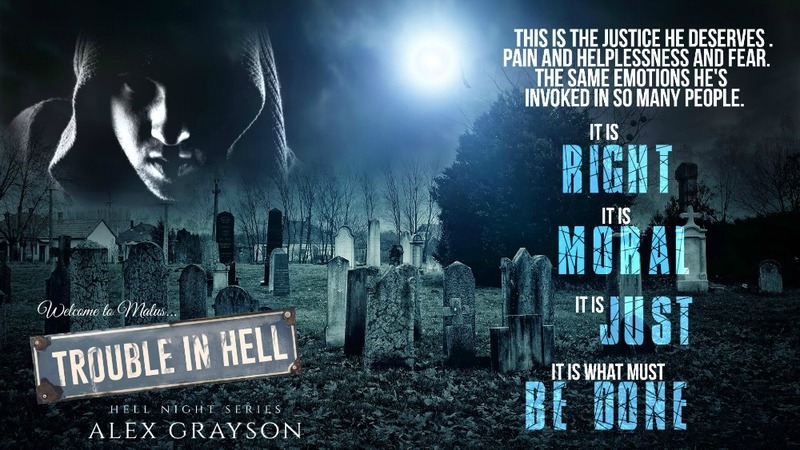 Today we are celebrating the release of a new, romantic suspense title by Alex Grayson. 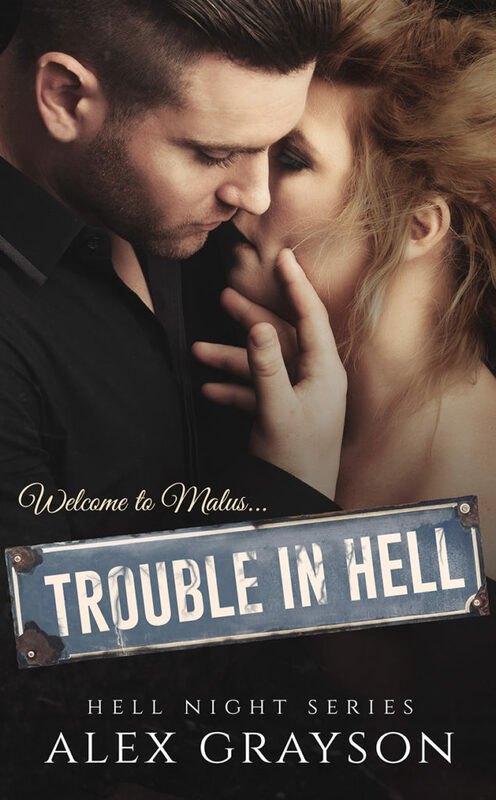 TROUBLE IN HELL is the first title in her Hell Night Series and it is available for read for FREE in KindleUnlimited. You can purchase it now. 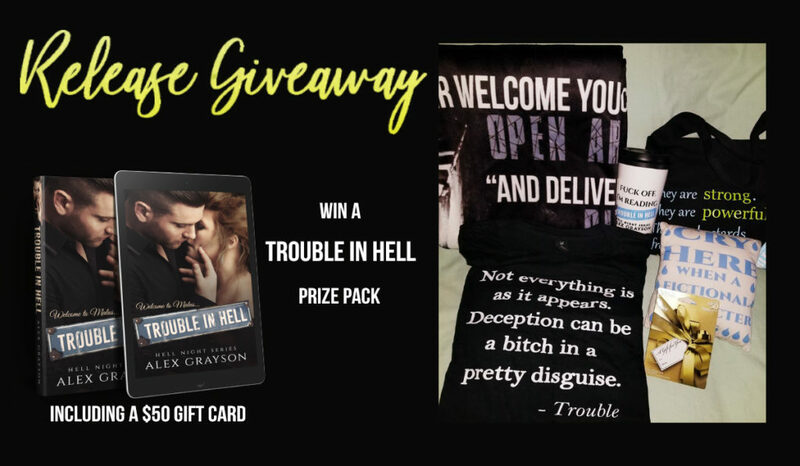 Watch the book trailer below, and find out how you can enter to win a huge release day prize pack, including a $50 Gift Card! 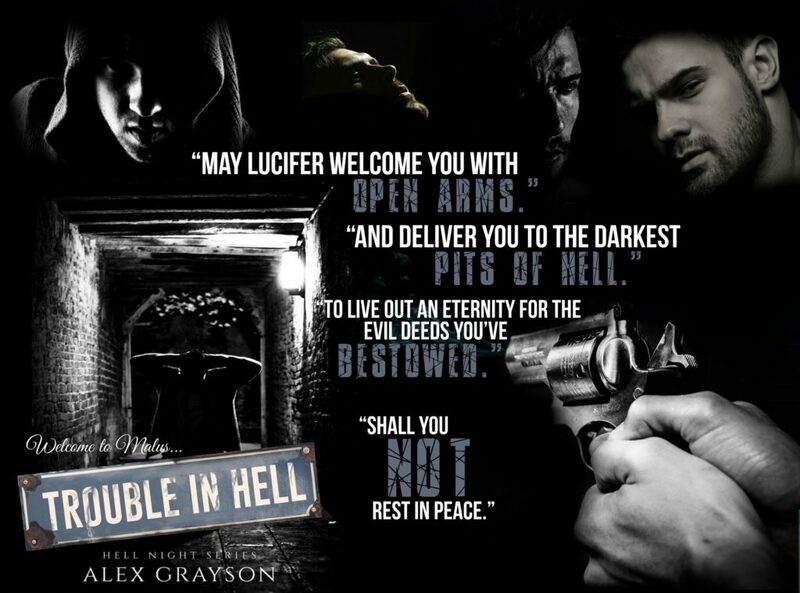 Trouble in Hell (Hell Night Series) Alex Grayson is a story I really enjoyed and look forward to the following book in this series. Remi is a very pregnant woman driving by herself through Texas. Her A/C is not working. She is low on gas and has run out of water. She knows she needs to get to a town soon. When she arrives in Malus, Texas she is relieved. Unfortunately she ends up passing out from the heat and awakens in a Dr’s office. This town has secrets and doesn’t particularly like strangers. Dr. Elijah Trayce aka Trouble has issues and secrets. He loves his town and will do what he has to to keep it safe. He also has revenge on his mind, him and his brothers. 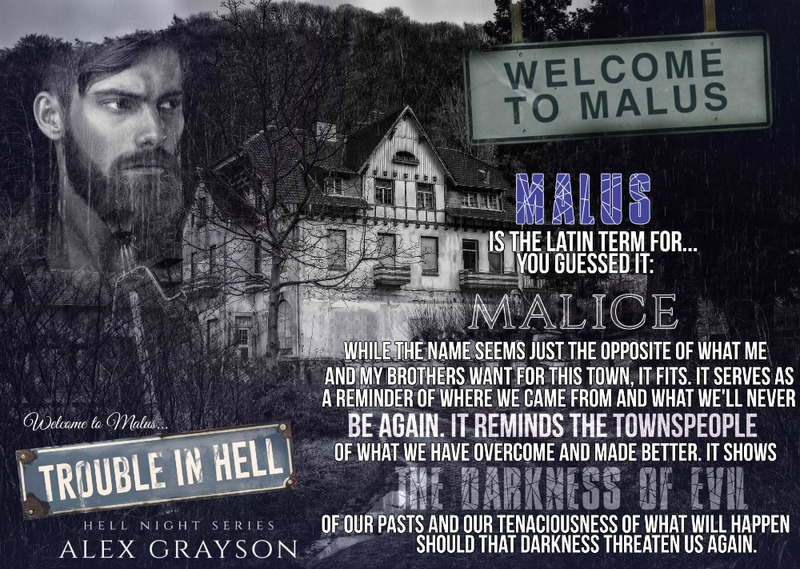 Remi stirs something in him but he knows how dangerous a stranger can be to him and his town. This was my first time reading this author and I was pleasantly surprised. 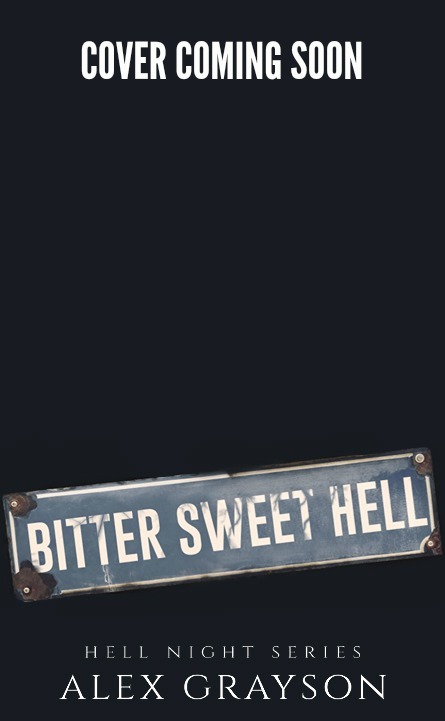 An interesting story that was quite dark and twisted which is right up my lane. Kept me interested from the beginning to the end. 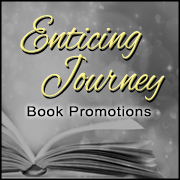 Loved the twist and turns of the story. Looking forward to learning more about the other brothers. 5 stars for me.